The Gear Jam Vintage Drags, Car Show and Swap Meet is April 14-15 at the Atlanta Dragway in Commerce, Georgia. Gassers, Front Engine Dragsters, Altereds, Muscle Cars, Nostalgia Super Stocks and Hot Rods! Car show, the best swap meet in the South East (spaces are just $50 for all the space you want for the whole weekend—we’re averaging 300 vendors with our monthly swap meet), and Cruisin’ Commerce downtown on Saturday night with live music. 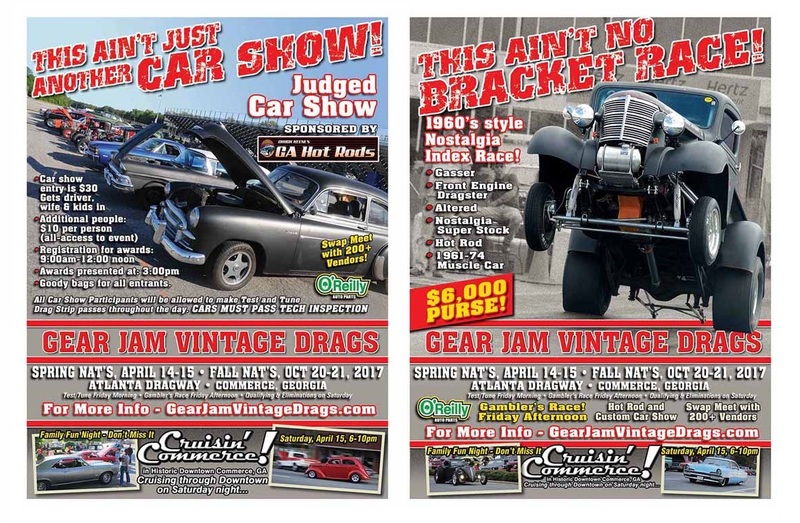 For more information, go to www.gearjamdrags.com, or call (706) 424-5035. Mod motor in a vintage Mustang?